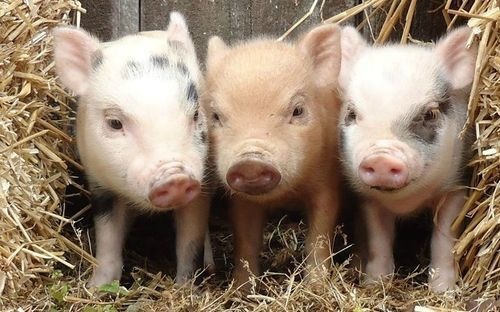 The rule of three: The average gestation period for a pig is 3 months, 3 weeks, and 3 days. Pigs tend to produce large litters in a relatively short period of time. A sow stays pregnant an average of 114 days, although it’s not uncommon for pigs to lose their babies before they are born, or have one or more stillborn piglets. She might not look pregnant until about three weeks before she delivers, but that doesn’t mean there’s a problem with the piglets. An easy way to remember the length of gestation in swine is the rule of threes: three months, three weeks and three days, for a total of 114 days. This is an average length; pigs born a couple of days early or late should be healthy. The gestation lengths can vary with each pregnancy, so don’t worry if your sow delivers at exactly 114 days for one pregnancy and 116 days for the next pregnancy.